Thank you for purchasing this sorting package. Please rate me. 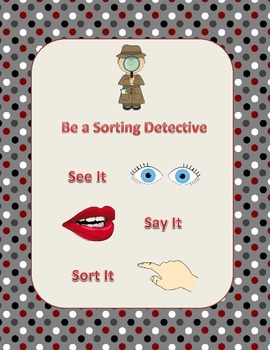 Sorting is such a big part of kindergarten and here is a wide variety to help you with your sorting plans. 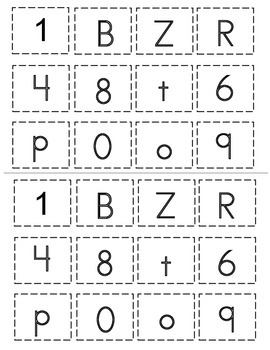 Use them in centers, for student worksheets, follow-up of prior instruction and assessment. Print them out and use them Monday morning. 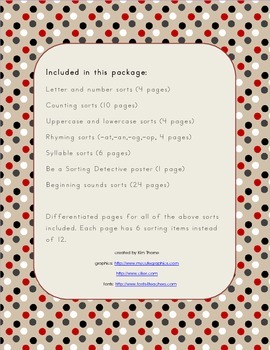 Differentiated pages for all of the above sorts included. 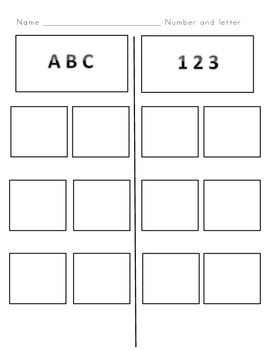 Each page has 6 sorting items instead of 12.